Our EXCA235BNCP2-DV WDR series Indoor Dome cameras are the best solution in the industry for challenging lighting conditions and perfect for indoor use. Second generation "P2" sensor uses Sony's acclaimed WDR Imaging Sensor for incredible detail and clarity in the most challenging light conditions with over 800 TVL at 0.0002 lux. Scene selection presets - automatically adjusts to indoor / outdoor conditions. 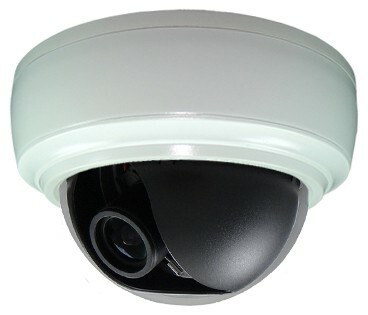 Cameras feature 2.8mm-12mm auto iris varifocal lens, On Screen Display, power isolation and dual voltage12 VDC/24 VAC operation. Designed, engineered, assembled and tested in the USA.